In his petition, Martinez highlights the recent climate agreement in Paris, which would require the US to transition to a zero carbon energy economy by the year 2050 – and emphasizes that such action simply isn’t enough to avoid the worst effects of climate change. Instead, he wants the next president to include a plan to end the use of fossil fuels in the next ten years as part of their platform. This isn’t Martinez’s first time in the spotlight. 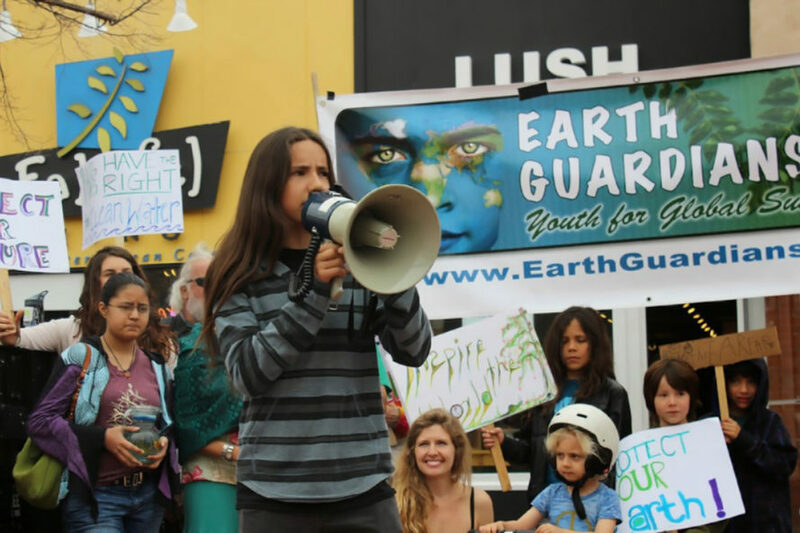 He gave his first public address on climate change when he was just six years old, and now serves as the youth director of Earth Guardians, a movement of activists, artists, and musicians united in stopping climate change. Earlier this year, he made headlines when he spearheaded a class action lawsuit against the Obama administration for failing to take adequate action against climate change. He’s even spoken before the UN General Assembly on the issue. Martinez is facing an uphill battle when it comes to convincing our politicians to take dramatic action on climate change. Not only has Donald Trump claimed that climate change is a “hoax” created by the Chinese government, he’s also stated that he would “renegotiate” the Paris deal in an attempt to skirt the US’s obligations under the treaty. He’s even gone so far as to sue developers of a Scottish wind farm for ruining the view from his golf course. Hillary Clinton is, of course, a more sympathetic audience, but even she is likely to bristle at the suggestion of ending all fossil fuel use so quickly. The Guardian has hailed her platform as “the strongest ever” on climate change: the current draft calls for a carbon tax, stricter regulations for the approval of oil pipelines, stronger regulation of fracking, and prioritizing renewable energy development over natural gas. While these are all important steps, they’re far from the dramatic approach Martinez advocates. It may take significant persuasion to convince Clinton that the issue is pressing enough to risk alienating the oil and gas lobby. It must also be said that, no matter what the future president includes in their platform, there’s a limited amount that they can do if other lawmakers refuse to pass the bills necessary to transition away from fossil fuels. We’ve seen this issue arise time and time again in the Obama administration’s clashes with Congress. Still, just because it may be an uphill climb politically doesn’t mean that Martinez’s petition should be ignored. With the recent years clocking in as the hottest in history, it’s now more important than ever to take dramatic action to stop climate change. 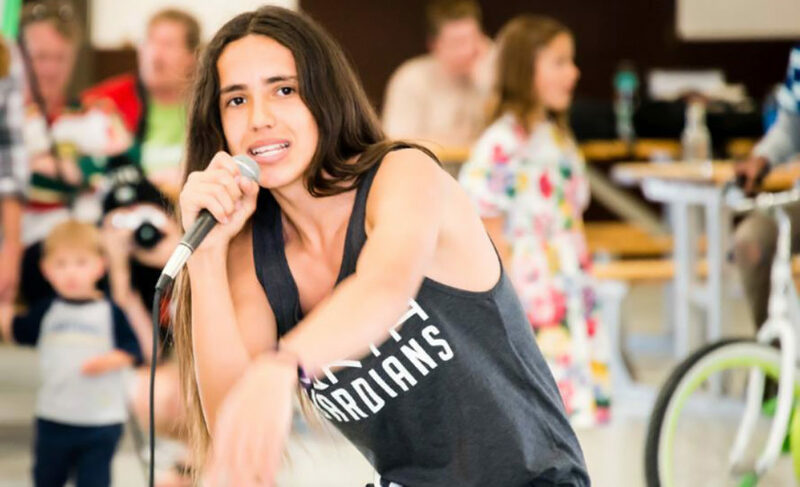 If you’d like to join Xiuhtezcatl Martinez in demanding immediate action to end the use of fossil fuels in the US, you can sign the petition here. A 16-year-old activist has collected 100,000 signatures demanding that Hillary Clinton and Donald Trump take action to end the use of fossil fuels by 2026. Martinez has been fighting against climate change since the age of six. Martinez has spoken to the UN General Assembly on climate change, and made headlines this year for filing a class action suit against the Obama administration for failing to take action against climate change.